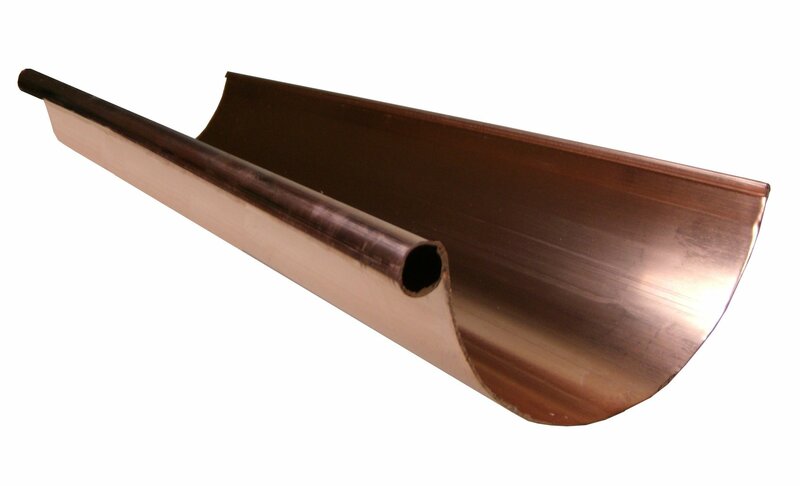 Follow the link to shop for Copper Sheets and Copper Downspout Coil. Follow the link to shop for Decorative Copper Downspouts. Follow the link to shop for additional Copper Elbows in 30, 45, 60, and 90 degree angles. Follow the link to shop for additional Copper Offsets. Follow the link to shop for additional Copper Half Round Gutter Hangers. Follow the link to shop for Decorative Downspout Brackets. Follow the link to shop for additional Copper Conductor Heads. Follow the link to shop for Splashblocks, Rainchains and other Gutter Accessories.